A wonderful whisky which is a personal favourite, think toffee popcorn, stewed apples, brown sugar, and nutmeg. 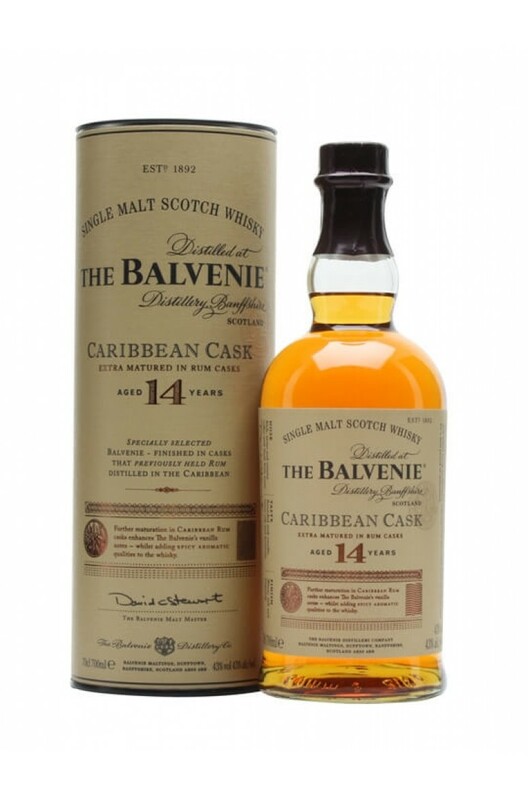 This 14 Year Old limited edition has been finished in Carribean Rum casks. Aromas (without water) Rich, sweet and creamy toffee on the nose combines with fresh fruit notes. Palate (without water) Rounded with vanilla and sweet oak notes, with a fruity character that develops with time. A simply beautiful expression of Balvenie, the 21 Year Old is their top bottling in the core range. ..